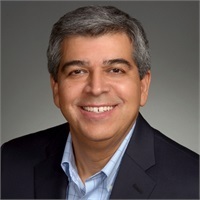 Victor Galvez | APC Financial Group, Ltd.
Victor will be joining Soprano Accounting and Tax Services in 2019. He will continue to provide our clients the knowledge, speciality and quality experience you have come to expect. Victor graduated from the University of Notre Dame in 1978 with a BBA degree in Accounting and also earned a 1992 MM degree from Northwestern University's Kellogg School of Management in their executive master's program. He has been a registered Certified Public Accountant in Illinois since 1980. Victor's career includes more than 30 years of combined experience as an auditor in public accounting and in corporate accounting management in the private industry sector. He currently provides tax preparation services primarily to individual clients of our firm. Victor resides in Western Springs with his wife and has two adult children. He enjoys going on long walks with his wife and traveling with his family. This associate and the services he offers are not affiliated with Cetera Financial Specialists.